Barkers provide 3 main driving courses of different levels for you to choose from. These range from starter, midway and test level. Barkers provide a variety of intense driving courses in Essex, ranging from a beginner to test level. 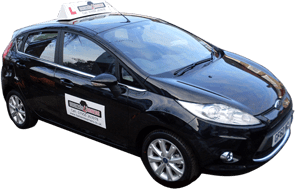 We have divided our courses into fifteen, twenty and thirty hour intense courses which all include cheap driving lessons with a one hour practical driving test. We even provide a course called Pass Plus which is course for new drivers to go that extra step. Not only does plus pass reduce your insurance cost, it provides extra experience for driving at night, in bad weather conditions, and on motorways. Our Pass Plus driving course builds on your skills and knowledge, and will teach you how to anticipate, plan for and deal with all kinds of hazards, to help you become a more confident and considerate driver. Barkers also provide a refresher driving course which will help you gain your confidence back in driving. You may have had a long period of time where you have not driven, but if your circumstances now require you to start driving again, take our refresher driving course to help you refresh your knowledge and skills on the road.